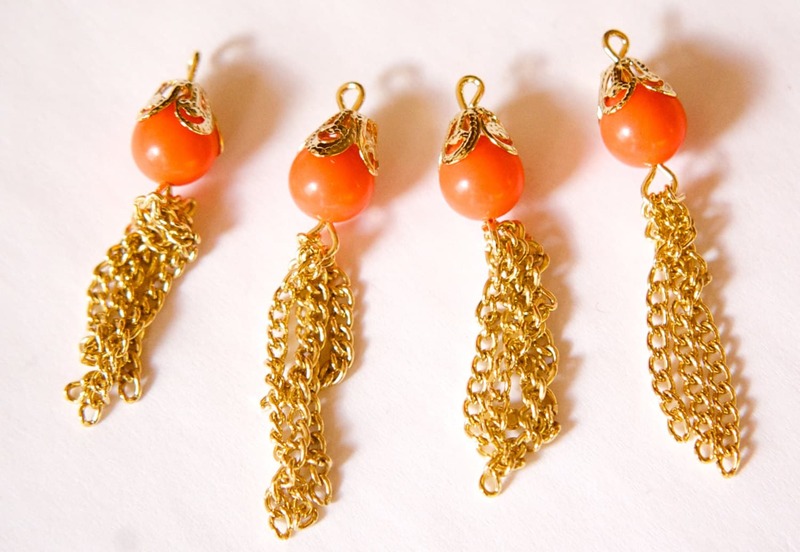 Measurements: 40mm long x 8mm at the widest..
Characteristics: The bead is a coral orange and the metal is gold tone. Obsessed with these! 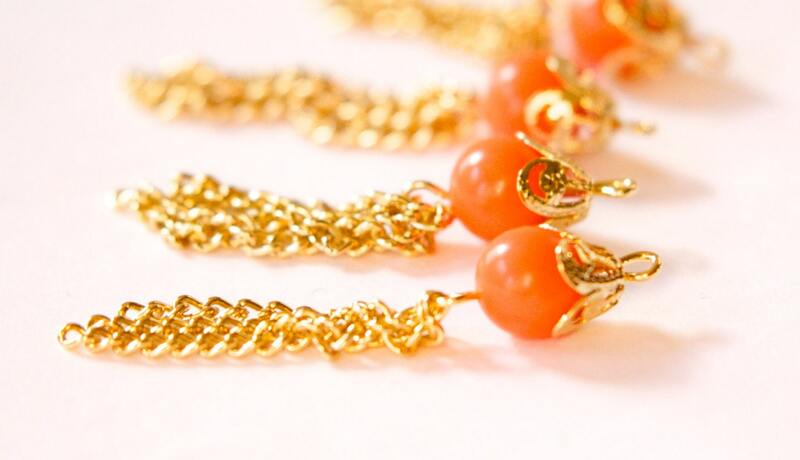 I plan to order other colors! An A+ Etsy store on every count! Thanks so much, always great fast service and beautiful supplies!